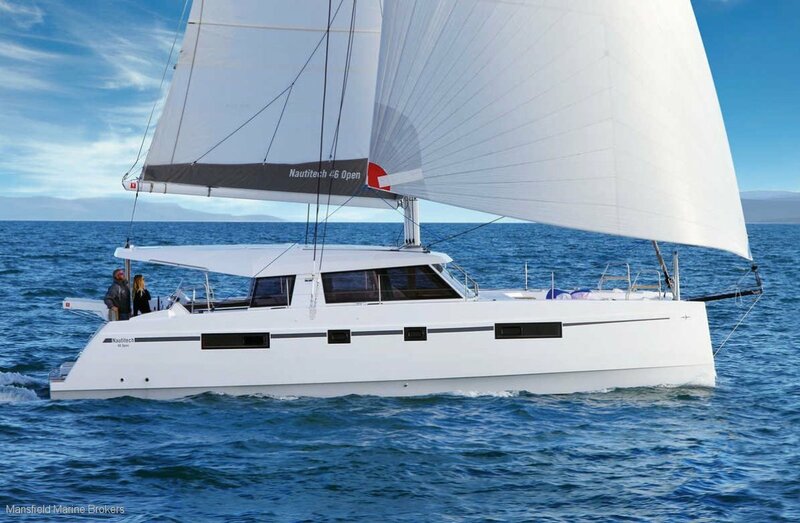 The Bavaria 46 Open Catamaran features masses of panoramic living space with brilliant performance, ease of handling and luxury accommodation. The genius being the sliding glass doors which open up the indoors & outdoors on one spacious level for the ultimate on water lifestyle. Available in 3 or 4 cabin versions. Call Tom Blaxell on 0409101300 for full details. Centre of the party on main saloon deck with 360 degree panoramic view. Double sink with flick mixer, cooktop, refrigeration, wine locker and 10 person dining setting. 12v DC system with 3 x 140 AH gel batteries plus 2 x 90 AH maintenance free starting batteries, 2 x 115 AH alternators, 80 AH battery charger, battery status indicator, LED lighting throughout, 230v AC system with 32/16 amp adaptor, outlets in every cabin ( 10 in total ), galvanic isolation system. Double spreader alloy stainless full sail away equipped.